She was charged this week in Washington of acting illegally as an unregistered agent for the Russian government while she lived in Washington over the past three years with her boyfriend, a veteran Republican operative. Russian Foreign Minister Sergei Lavrov told his US counterpart Mike Pompeo Saturday the arrest of a Russian gun rights enthusiast, Maria Butina, on espionage charges in the United States was “unacceptable”, his ministry said. US prosecutors say Maria Butina, 29, exploited her close links with the powerful NRA gun lobby while posing as a visiting graduate student to endear herself with senior Republicans, guided by one of Russian President Vladimir Putin’s major political supporters, Alexander Torshin. In a telephone call with Pompeo, Lavrov “stressed that the actions of American authorities who arrested the Russian citizen Butina based on false accusations is totally unacceptable,” the foreign ministry said in a statement. Lavrov said Maria Butina must be released “as soon as possible,” according to the statement. The two diplomats also “exchanged views on ways to develop the relationship between our countries with the objective of normalising them”. Butina’s arrest on Sunday added to the political turmoil in Washington over Moscow’s meddling in the 2016 presidential election and allegations that President Donald Trump’s campaign collaborated with the Russians. The arrest was announced Monday hours after Trump finished a summit and a press conference with Putin in Helsinki, Finland, where the US leader rejected the US intelligence community’s verdict that the Russians interfered to support him over Hillary Clinton in the 2016 race. Trump reversed that stance a day later under heavy attack from US politicians of both parties. Meanwhile, Russian Foreign Minister Sergei Lavrov and US Secretary of State Mike Pompeo discussed prospects of Russia-US relations and possible cooperation on Syria and the Korean Peninsula, Russia’s Foreign Ministry said. During a telephonic conversation on Saturday, Lavrov and Pompeo exchanged views on the prospects for further normalizing relations between the two countries “on an equal and mutually beneficial basis”, a statement said, Xinhua reported. The diplomats also discussed a number of pressing international issues, including, in particular, possible interaction of Russia and the US with other countries to address humanitarian problems in Syria as well as to promote the denuclearization of the Korean Peninsula, according to the statement. 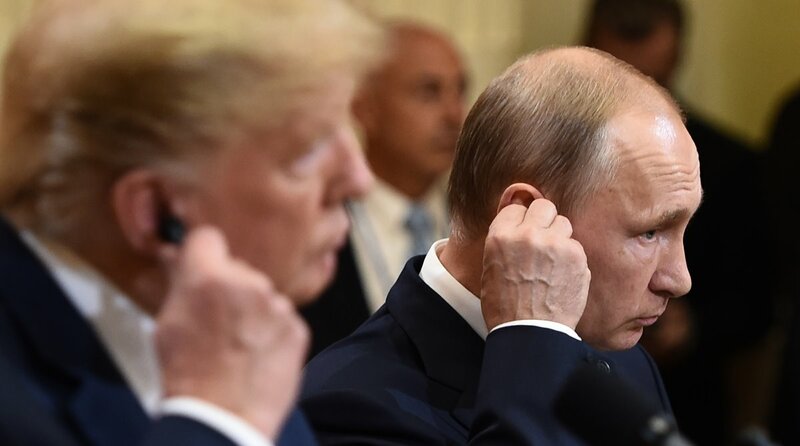 On July 16, Russian President Vladimir Putin and US President Donald Trump held a full-fledged summit in Finland’s capital Helsinki, at which the two leaders discussed a wide range of topics including Russia-US relations, national security and top international issues. Pompeo on Friday confirmed Trump’s continuing of talks with Putin and said that the two leaders began discussing the return of millions of Syrian refugees.